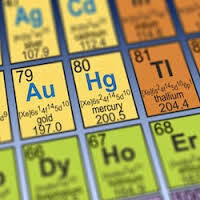 Metals play an important role in a variety of health conditions. Heavy metals, other metal such as zinc, iron and copper as well as mineral excesses are shown in Hair Tissue Mineral Analysis (HTMA) testing. Excess metals are associated with a wide variety diagnoses. Everyone has exposure to heavy metals in our modern world and no one will be without some level of metal disregulation that can be improved on, based on the results of a hair test. Some people will not even being excreting tissue metals that have been held a long time in their tissues until such time as the key mineral balances are corrected with proper nutritional supplementation. Resistant weight loss, weight gain, fatigue, abdominal pain, anorexia, brittle nails, burning in mouth/esophagus/stomach/bowel, cancer, confusion, convulsions, dermatitis, diarrhea, drowsiness, edema, fever, garlicky odor to breath or stool, goiter, hair loss, headache, herpes, hyperpigmentation of the nails and skin, increased risk of liver/lung/skin cancers, interferes with the uptake of folic acid, inhibition of sulfhydryl enzyme systems, jaundice, keratosis (hardening of the skin of palms and soles of feet), kidney and liver damage, liver fibrosis, mucus in nose and throat, muscle aches and spasms, muscle weakness, nausea, nervousness, peripheral neuritis, respiratory tract infection, sore throat, stomatitis, swallowing difficulty, sweet metallic taste, throat constriction, vasodilation, vertigo, vitiligo, vomiting, impaired healing, and weakness. Abdominal pain, cardiac arrhythmias, gastrointestinal dysfunction, diarrhea, high blood pressure, hypokalemia, lesions on lungs, low blood potassium, muscle twitching, muscle weakness, respiratory failure, respiratory issues, vomiting. Adrenal insufficiency, arthritis, bone spurs, bursitis, depression, disturbance of calcium and vitamin D metabolism, fatigue, magnesium depletion, lung cancer, lung infection, osteoporosis, rickets, symptoms of slow metabolism, vital organ dysfunction. Abdominal pain, aches, alcoholism, alopecia, anemia, arteriosclerosis, arthritis (oust and rheumatoid), bone disease, bone pain in middle of bones, brain fog, cancer, cardiovascular disease, cavities, cerebral hemorrhage, cirrhosis, cramps, depression, diabetes, diarrhea, digestive disturbances, emphysema, enlarged heart, flu-like symptoms such as chills, fragile bones, growth impairment, headaches, high blood pressure, high cholesterol, hyperkinetic behavior, hyperlipidemia, hypertension, hypoglycemia, headaches, impaired bone healing, impotence, infertility, inflammation, joint pain, kidney disease, learning disorders, liver damage, low energy, lung disease, memory loss, migraines, muscle weakness, nausea, nerve cell damage, osteoporosis, ovary damage, prostate dysfunction, reduced fertility/reproductive disorders, schizophrenia, shortness of breath, smoker’s cough, strokes, stomach problems, swelling of the nose, pharynx, and larynx (when chronically inhaling cadmium), testicle damage, tooth deformities, vomiting. Acne, adrenal hyperactivity and/or insufficiency, agoraphobia, allergies, alopecia, anemia, anxiety, arthritis both osteo and rheumatoid forms, autism, cancer, chills, chronic candida albicans infection, cystic fibrosis, depression, diabetes, digestive disorders, dry mouth, dyslexia, elevated cholesterol, elevated estrogen/estrogen dominance, failure to thrive, fatigue, fears, fractures of the bones, fungus, hair loss, headaches, heart attacks, high blood pressure, high cholesterol, Hodgkin’s disease, hyperactivity, hypertension, hypoglycemia, hypothyroidism, infections, inflammation, insomnia, iron loss/ iron storage diseases, jaundice, kidney and liver dysfunctions, decreased libido, low hydrochloric acid, lymphoma, mental illness, migraines, mood swings, multiple sclerosis, myocardial infarction, nausea, nervousness, osteoporosis, pancreatic dysfunction, panic attacks, paranoia, phobias, premenstrual syndrome, schizophrenia, senility, sexual dysfunction, spacey feeling, stuttering, strokes, tooth decay, toxemia of pregnancy, urinary tract infections, vitamin C and other vitamin deficiencies, and yeast infections. Amenorrhea, anger, rheumatoid arthritis, birth defects, bleeding gums, cancer, constipation, diabetes, dizziness, emotional problems, fatigue, headache, heart damage, heart failure, hepatitis, high blood pressure, hostility, hyperactivity, infections, insomnia, irritability, joint pain, liver disease, loss of weight, mental problems, metallic taste in mouth, myasthenia gravis, nausea, pancreas damage, Parkinson’s disease, premature aging, schizophrenia, scurvy, shortness of breath, and stubborness. Abdominal pain, adrenal insufficiency, aggression, allergies, anemia, anorexia, anxiety, arthritis (oust and rheumatoid), arteriosclerosis, attention deficit disorder, autism, back pain/problems, behavioral disorders, blindness, cancer, cardiovascular disease, cataracts, cartilage destruction, concentration loss, constipation, convulsions, coordination loss, deafness, depression, diabetes, disrupts neurotransmitters, dyslexia, emotional instability, encephalitis, epilepsy, fatigue, gout, hallucinations, headaches, high blood pressure, hostility, hyperactivity, hypertension, hypo-thyroid, impaired glycogen storage, impotency, immune suppression, indigestion, infertility, inflammation, insomnia, irritability, joint pain, kidney dysfunction, learning disabilities, libido decrease, liver dysfunction, memory loss (long term), mental retardation, menstrual problems, miscarriage, multiple sclerosis, myelopathy (Spinal cord pathology), nausea, nephritis, nightmares, numbness, paralysis, Parkinson’s disease, peripheral neuropathies, psychosis, psychomotor dysfunction, pyorrhea, red blood cell damage, renal dysfunction, restlessness, schizophrenia, seizures, sterility, stillbirths, sudden infant death syndrome, tingling, tooth decay, vertigo, unintentional weight loss. ataxia, coma, diarrhea, dizziness, hand tremors, muscle twtiches, nausea, seizures, slurred speech, stomach pains, uncontrollable eye movement (nystagmus), vomiting, weakness. Neurological symptoms, nervous system damage (may be permanent), anorexia, anger, ataxia, schizophrenia (unemotional behavior), extreme criminal behavior (psychopathology), iron deficiency, Parkinson’s disease (or symptoms similar to it), hearing loss, headaches, brain fog. Manganese often accumulates in the ears and pons and cerebellar region of the brain. Acne, acid reflux, adrenal gland dysfunction/adrenal fatigue, allergies, alopecia, Alzheimer’s disease, Amylotrophic Lateral Sclerosis (ALS), anger, ankylosing spondylitis, aneurysm, anorexia, anxiety, apathy, asthma, ataxia, Attention Deficit Disorder (ADD), Attention Deficit Hyperactivity Disorder (ADHD), autism, autoimmune disease, bipolar disorder, birth defects, bladder disease (chronic), blushing, borderline personality disorder, brain damage, bruising, bruxism – grinding teeth while sleeping, bulimia, cancer, cataracts, cerebral palsy, chronic fatigue, colitis, constipation,, elevated blood calcium, coronary vascular disease, Crohn’s disease, poor coordination/jerky movements, deafness, depression, dermatitis, dementia, developmental delays, discouragement, dizziness, drowsiness, dysarthria (characterized by slurred or slow speech due to weakness or poor control over the muscles used for speech), eczema, emotional disturbances, enlarged prostate, excess saliva, fatigue, flatulence, floaters in the eyes, fibromyalgia, forgetfulness, gastritis, gum bleeding and soreness, headaches (band type), hearing loss, heart arrhythmia (irregular heartbeat), high cholesterol, hormone dysregulation, hyperactivity, hypoglycemia/hyperglycemia, hypothyroidism, immune system dysfunction or damage, inflammation of mucous membranes (chronic), insomnia, irritability, Irritable Bowl Syndrome (IBS), joint pain, kidney damage, leaky gut, loss of self-control, Lupus, manic depressive disorder, memory loss, metallic taste, migraines, mole formation, Multiple Chemical Sensitivity (MCS), Multiple Sclerosis (MS), mood swings, muscle weakness and tremors, nausea, nervousness, nerve fiber degeneration, numbness and tingling or “Pins and Needles” sensation, oily skin, Obsessive-Compulsive Disorder (OCD), Parkinson’s disease, pain in limbs, panic attacks, paralysis, peripheral vision loss, photophobia (sensitivity to light from weak iris response), rashes, retinitis, excessive salivating, schizophrenia, sciatica, excessive shyness, sleep disorders, speech disorders, spider veins, suicidal thoughts or tendencies, thyroid dysfunction, timidity, tinnitus (ringing in ears), tooth decay, transient ischemia attacks or stroke, tremors, and vomitting. Gout, hair loss, anemia, loss of hair color, osteoporosis, weight loss. Causes damage and degradation of DNA, exacerbates hydroxyl radical damage, damages cell mitochondria and inhibits enzyme activity and function, allergic reactions such as contact dermatitis, stomatitis, lichinoid reactions, periodontal gum disease, increased salivation, obstruction of important enzyme systems like creatin-linase, aldolase, alcalite phospatase, carbon-anhydrease, trypsin, chymotropsin, cellulase, disturbance of collage synthesis like bone and cartilage, obstruction of thymidin in the DNA, pain in teeth and jaw, burning tongue, cold feeling in mouth, increased salivation, metal taste, peeling of mucous membrane around teeth, fungus like coating in throat and sore throat, painful, swollen lymph nodes in the neck, extreme nervousness, extreme tiredness, confusion, memory loss, dizziness, migraine headaches, burning of eyes, allergies, impairment of immune system, blisters on body, dying of the teeth, granulomas, puss pockets with dead tissue, swollen tongue, nerve pain in the face, paralysis of face, muscle cramps of tongue, lips, around eyes, sinus infection, bronchitis and lung ailments without clear reason, difficulty breathing at night, problems with stomach, intestines, liver, bladder, kidneys, weight loss, joint and muscle pain, muscle cramps and weakness, ear noise, visual disturbance, depression, insomnia, outbreaks of sweat, palpitations, difficulty concentrating. Hypertension, osteoporosis, asthma, urinary stones. Bone deformities, impaired bone growth, bone tumors, and chronic renal failure. Fatigue, abnormal heart rhythms, abnormal reflexes, abnormal vision, abdominal pain, agitation, alopecia, atrophic changes of the skin, blood in stool, bone marrow depression, brain fog, breakdown of red blood cells, burning sensations that are unusual and painful, coma, confusion, constipation, convulsions, chronic fatigue, degenerative changes of the heart, liver and kidney, delirium, dementia, depression, diarrhea, dry and crusty scaling of the skin, encephalopathy, excessive salivation, excessive tiredness, fever, gastrointestinal problems, gluten sensitivities, hallucinations, hair loss (temporary and permanent), headaches, heart damage, high blood pressure, increased radiopacity of the liver, inflammation of the mouth, lips, and gums, insomnia, kidney damage, leg pain, loss of appetite, loss of reflexes, muscle aches and weakness, muscle tremors, nausea, nail changes (Mee’s lines), numbness in extremities like fingers and toes, polyneuritis, respiratory paralysis, respiratory failure, seizures, severe acne, skin eruptions, skin hyperesthesia (mainly in the soles of the feet and the tibia), stomatitis, sub-archanoid hemorrhage, tachycardia, urine discoloration (green) shortly after exposure, vision disturbances, vomiting. Fatigue, abdominal pain, breathlessness, cholangitis of the lower biliary tract, convulsions, cough, decreased pulmonary function, diarrhea, dizziness, dyspnea (breathing difficulty), eye irritation, eye soreness, fatigue, hallucinations, headaches, heart palpitations, kidney problems, liver problems, nausea, peripheral neuropathy, psychotic behavior, severe sweating, skin irritation, skin rash, stannosis (benign pneumoconiosis), stomach complaints, tremors, vomiting, can affect estrogens and androgens (hormones associated with the development of sexual organs). Hair loss, diabetes and blood sugar imbalances, cancer, non-malignant respiratory disease, fibrosis, emphysema, kidney damage and disease, fatigue. Rhinitis which is nasal lining inflammation leading to runny or blocked nose, wheezing, conjunctivitis, cough, sore throat, chest pain. Negative impact on growth, neuronal development, and immunity.